Claire first met Patrick when he transferred into her high school during their junior year. Claire couldn’t help but notice this shy, new guy who sat three seats behind her and wanted to know more about him. Throughout that year they grew closer, even going on a Winterim class trip to Washington D.C. Eventually, they became close friends in late spring. Patrick had no idea that around this same time, Claire developed a crush. Her best friend (the maid-of-honor) and her started to plan hangouts with groups of people all summer just so Claire could spend more time with Patrick. At the beginning of our senior year of high school, we went on the band/orchestra retreat where we ended up hanging out the entire time together. This led to Patrick realizing he also liked me, which made me happy! We chose lockers right next to each other that year and he ended up asking me to homecoming in the fall. A few weeks later we were dating. The two of them shared that senior year and summer enjoying every minute they had together and cherishing every memory—senior year Christmas Soiree when Claire’s corsage fell apart and they had to super glue the flowers on; Claire helping Patrick when he got his wisdom teeth removed. It’s the little moments that are the best and what also made the two realize they wanted to stay together even though they would be going off to different colleges in different states—Tennessee and Texas. It was worth every day apart because we knew that each day apart was a day closer to being together forever. We knew we had to do what was best for us individually in that moment to help provide for our future family. Our dates for those 4 years were Skyping each other while watching the same movie and eating popcorn on Friday and Saturday nights. After 3 years of long distance, I graduated a year early from school and God provided me with the most wonderful job back home in the Chicago suburbs and another summer together before Patrick headed back to Texas for his final year. When Claire thinks about when she knew Patrick was the one, a specific memory pops into her head. At the beginning of her junior year of high school, Claire was talking with her best friend about how she was tired of all the guys at school and wanted one to transfer in who was cute, liked racing, was in band or orchestra, and would be her best friend before they started dating. Well, it’s no coincidence that Patrick transferred in that year. I didn’t realize my prayers had come SO specifically true until we had been dating for about 7 months and I realized that this was it and we were meant to be. Patrick is Claire’s best friend and loves that she is a leader and that she can always rely on him. One of Patrick’s favorite things about Claire is her loyalty. She is, without a doubt, the most loyal person I have ever met. Her loyalty has helped our relationship through a breakup, long distance, and every other challenge we have faced. Claire often puts others’ needs before her own. While it can be frustrating at times, her selflessness pushes me to be a better person. Every day together is a new adventure, and knowing that I get to go through it with Claire is what gets me out of bed in the morning. One of the most special moments in Claire’s life would happen after she returned from a weeklong work trip. Patrick planned a special date night in downtown Chicago for the two of them where they would have dinner at one of their favorite restaurants and then attend a musical. Claire would later find out, there would be no musical because Patrick had another plan up his sleeve. After dinner, he had us go on a walk at the Lincoln Park boardwalk where he got down on one knee and asked me to marry him. Of course, I said, “YES!” and then was told we weren’t going to a musical but instead we were going back to his house where our families were gathered with a photographer to capture some of these sweet moments. 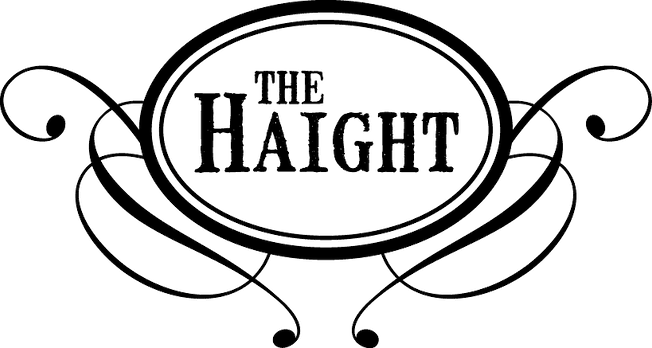 Claire and Patrick knew The Haight was the perfect venue to celebrate their wedding the minute they walked in for their tour. Everyone was so kind and had such great relationships with our vendors that I knew the day was going to go so smoothly—and my goodness it did! I cannot believe how amazing everyone was! The rustic, modern feel was perfect and different from any other venue I had visited. I loved that it was indoors so I didn’t have to stress about the weather, and honestly, I loved the character! It made decorating so simple because everything I was doing was to complement and personalize what was already there! Lauren and the team took care of all the details like decorating and probably more that I’m sure I have no idea about on the day of the wedding. We were all so impressed. It’s such a unique and well-run venue. The best part of the wedding day for Claire was celebrating their day with everyone they love on both sides. Looking back, we wish could have made the wedding last so much longer because there were so many people we wanted to spend so much time with! The first look and pictures beforehand was also a sweet time. It was nice to be together before the wedding and to soak in the moments more together rather than being so rushed once the wedding was over. Claire’s advice for newly engaged couples planning their wedding is to choose vendors wisely. The whole process can be stressful and overbearing, but a great vendor will come to your aide and work with you to make your day amazing and run smoothly. Keep in mind that what people say is true: the day and night goes by fast! I cannot stress enough that you just need to take a moment to breathe. My husband and I ate dinner during cocktail hour and it helped us feel less rushed and able to start talking with guests right away during the reception. Soak it in. Pay for photos and video if you can because I have looked through them and watched the video so many times. I feel like I missed so much! It’s all worth it. And always remember not to sweat the little things! I was feeling sick in the middle of the reception because the corset in my dress was so tight! I decided to change into what I got ready in because I just wanted to feel better. It was the best decision and not only instantly made me feel better, but the pictures were super cute too!